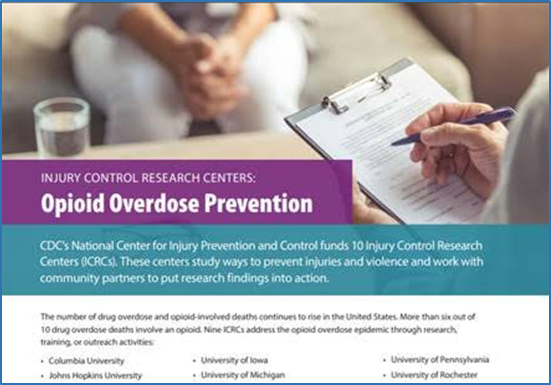 The U-M Injury Prevention Center is one of 10 CDC-funded Injury Control Research Centers (ICRCs) that conduct research focusing on the prevention of opioid overdose, sexual violence and intimate partner violence, and suicide through research, training, or outreach activities. 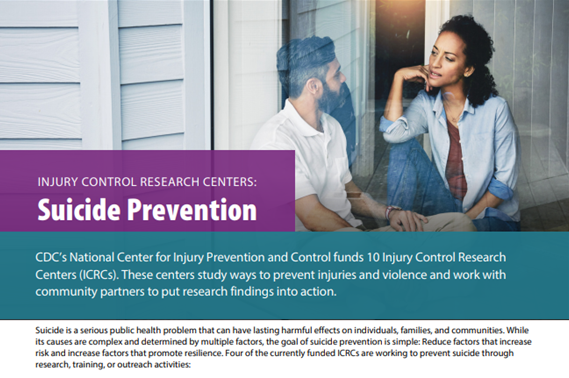 You can find a complete list of CDC-funded ICRC research projects for 2017-2019 on the ICRC website. 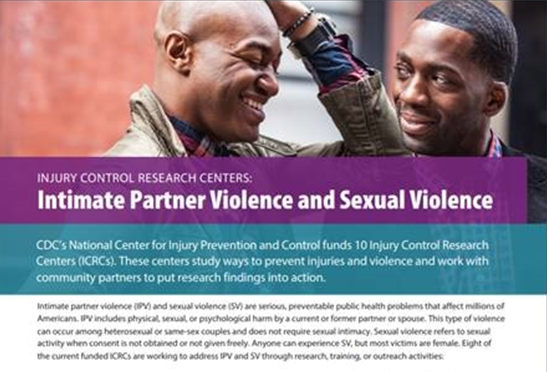 Click to learn more and to download a copy of the new CDC topic briefs for these 3 areas.